The septum, or bony, cartilaginous structure separating the nostrils, is a crucial component of nasal function. While it’s normal to have some level of deviation (up to 80 percent of the population does), when the septum is significantly crooked or deviated it can be a very unpleasant experience, making it difficult to breathe and leading to other health problems. Luckily for those suffering from a deviated septum, a procedure called septoplasty can be performed to straighten the septum and restore breathing and normal nasal function. A deviated septum can also lead to a serious condition called sleep apnea. Those suffering from sleep apnea often stop breathing for significant periods of time while sleeping. The most important step you can take to prepare for your septoplasty consultation is to inform yourself about the procedure and everything it involves, including factors such as cost, recovery and potential complications. You will also need to compile a list of questions for your surgeon. Here are five of the most important questions to ask. 1) What are your credentials and experience? One of the most important things to ask about is the surgeon’s training, experience and credentials, including board certification. Ideally, your surgeon should be board-certified by the American Board of Facial Plastic and Reconstructive Surgery (ABFPRS). Attaining this board certification typically involves completing a residency in otolaryngology-head and neck surgery, although some surgeons complete a residency in plastic surgery. Facial plastic surgeons must complete an ABFPRS examination, hold the approved licensure and adhere to the board’s Code of Ethics. They also must show a record of clinical experience. 2) What is your patient satisfaction rate? Before deciding to let a surgeon perform surgery on you, it’s important to find out what his or her former patients think of their results, the quality of care they received and other factors relating to their experience. So ask the surgeon to see patient testimonials. And, if possible, speak with former patients of the surgeon you are considering for your septoplasty surgery. 3) How will septoplasty affect my sense of smell and my sleep? A septoplasty patient’s sense of smell typically improves after surgery since airflow is usually restored. However, in rare cases it can get worse due to factors such as infection, swelling or allergies. Any impairment in a patient’s sense of smell is usually temporary. After a few months have passed, most patients report that their sense of smell is actually better. 4) Do you use nasal packing or nasal splints? These are important factors because both can promote a more rapid recovery following surgery. 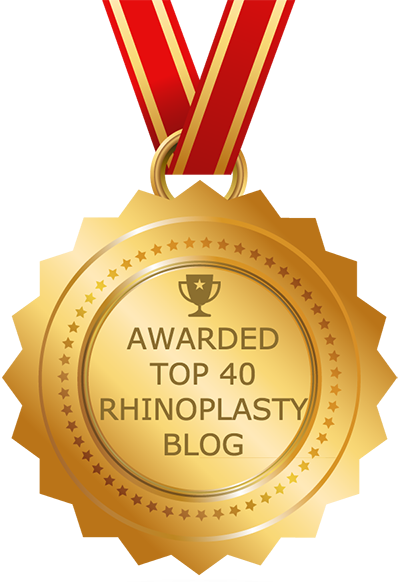 The best septoplasty surgeons use special tissue glues and dissolvable stitches that make nasal packing unnecessary. Special nasal splints may be used to reduce swelling. For example, a dorsal splint may be placed on the nasal bridge or intranasal splints might be used to prevent undue swelling within the nasal airway. Nasal splints are usually removed at the same time as sutures, about a week after surgery. 5) When is the best time to schedule the procedure? Many septoplasty surgeons recommend having the procedure over the winter holidays, since many patients have some time off during which to recover from surgery. Having surgery over the holidays will also allow you to enjoy the sunnier months rather than lying around recovering. Did you complete any other training? Do you belong to any medical organizations? Am I a good candidate for septoplasty? Why? What are the potential complications of the septoplasty procedure? Do you use any special techniques? What is the optimal way to prepare for septoplasty? Where do you perform the procedure? Do you operate out of accredited facilities? Do you have any before and after photos you can show me?